Our Health and Social Care Integration Newsletter highlights some of the work and successes that are happening across the Partnership. It also includes the Chief Officer’s message. The current and past editions of the newsletter are available at the below links. From time-to-time, the Partnership also publishes special bulletins on specific developments or events. This month we celebrated the long service awards for social work staff as well as other awards received by our staff. We also have a focus on equality including the British Sign Language (BSL) Scotland Act 2015. We also look at recent activities staff have taken part in, including 16 days of Action to Eliminate Violence Against Women and Carers Rights Day. Work began on the new Woodside Health and Care Centre in early March 2017 and is expected to be completed and operational by the end of 2018. The project build is on target to meet the completion date. 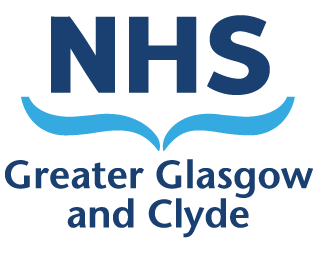 Join the Glasgow City Health and Social Care Partnership South Locality Engagement Network for notice of events, consultations and engagement opportunities and a quarterly news bulletin. Welcome to the February 2018 Newsletter. In January staff supported Cervical Cancer Prevention Week posting pictures on the Partnership's Twitter Account @GCHSCP to promote the Jo's Trust #SmearforSmear Campaign. We also have a focus on Anticipatory Care Planning and the work going on in localities to promote recovery from addictions. Latest news from the Partnership's South Locality Engagement Forum including public event on 7th June. Read the latest update on the new Health and Care Centre. Latest information on activities in North East Glasgow. The newsletter gives a update of volunteer activity in the North West Locality of Glasgow City Health and Social Care Partnership. Welcome to the Partnership's June 2018 Newsletter. In this edition we celebrate the achievements of staff at recent awards. We also look at the new Palliative and End of Life Care Plan plus a wide range of other activity.